CINCO lounge exists to create a sophisticated and cool cocktail culture in the fabulous city of Lisbon. We endeavour to provide a combination of contemporary and classic cocktails made using only premium spirits and fresh fruits, and by introducing new cocktails each season, keeping things moving in the desired direction. 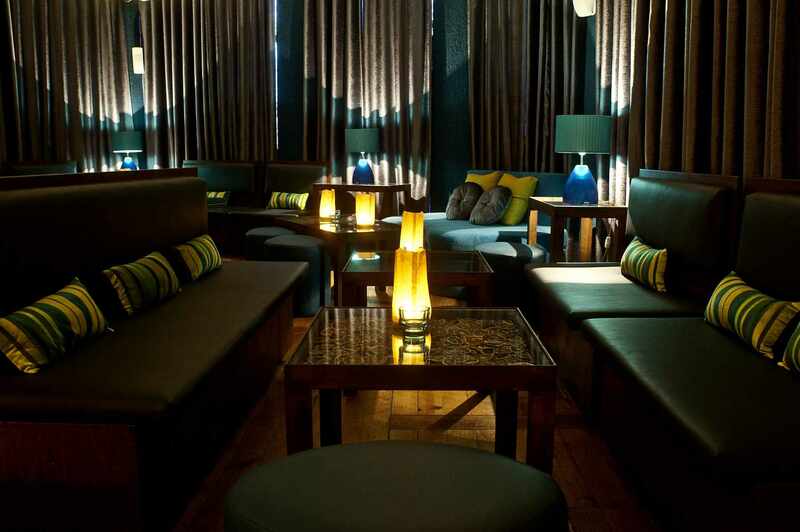 CINCO lounge is just that – a place to lounge, relax and unwind with friends over a cocktail or two. Anything goes, from what you wear to how old or young you are. Our policy on music is the same. The only certainty is that it’ll never be so loud you can’t hear yourself or your friends talk. After all, that’s not particularly relaxing. We treat all our guests with a warm welcome, and strive to provide a high level of service throughout each visit, as we believe it’s the little touches that make the biggest difference to your enjoyment and satisfaction. All of the above unite to provide what we hope is a pleasurable experience each time you visit CINCO lounge.